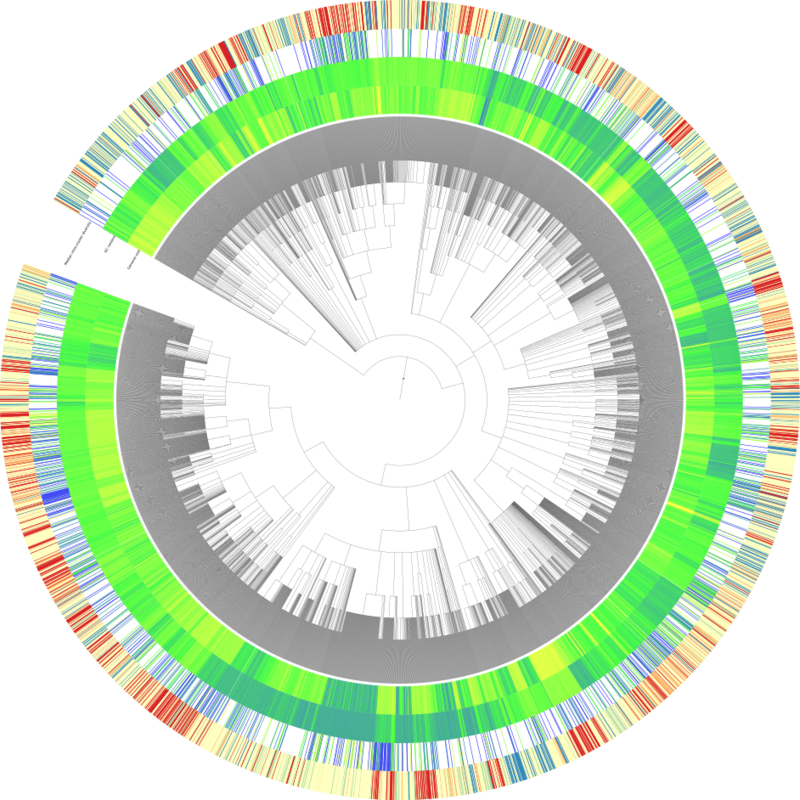 proGenomes provides 25038 consistently annotated bacterial and archaeal genomes from over 5000 species. These can be interactively explored and downloaded, whereby subsets can be customized e.g. taxonomic clades, representatives of each species or habitat-specific subsets. Select a taxonomic clade or species cluster using the field below. Individual genomes can be searched using the explore genomes section.